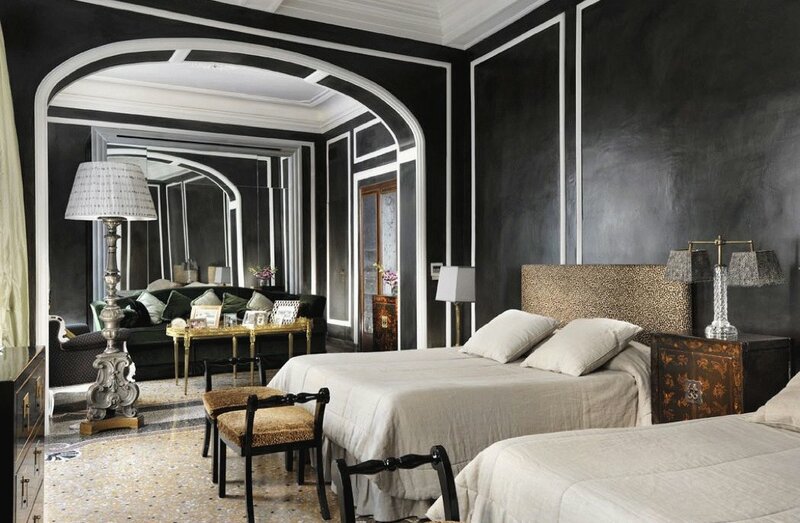 For a break in total luxury, where better than Florence and Rome? 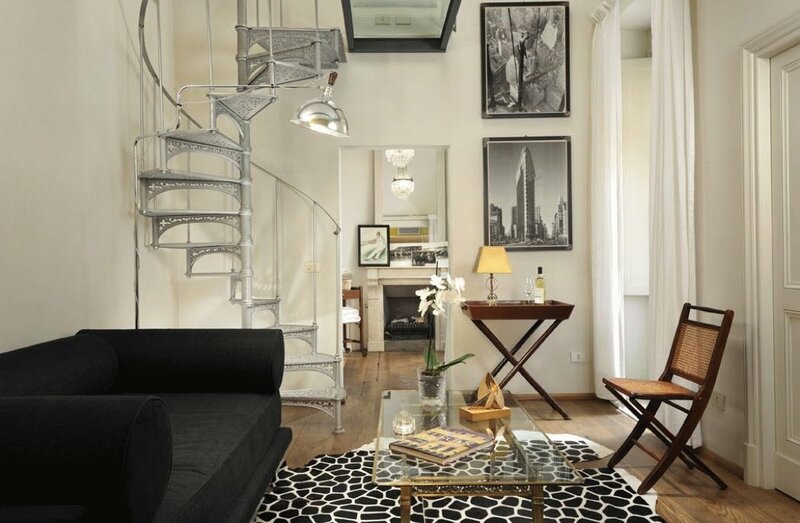 Casa Howard Guest Houses offer a stylish bed & breakfast option in these historic cities. 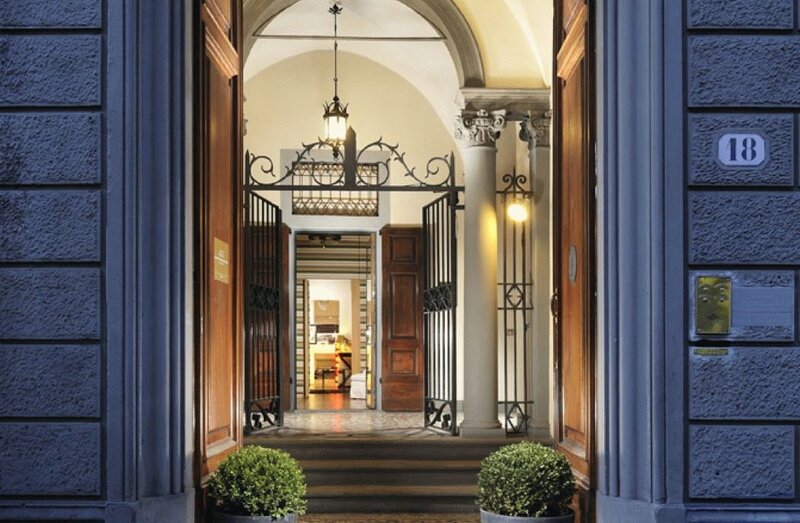 The current range of 3 beautiful, glamorous properties in Rome and Florence offer a touch of luxury. Conde Nast Traveller, Sunday Times Travel and many others feature these unique homes so we are not alone in our admiration. With flight times from London to either destination coming in under the 2 and a half hour mark, they are basically on your doorstep too. The mood in any of one the Casa Howard Guest Houses is very much that you’re staying with a friend who wants to look after your every need. 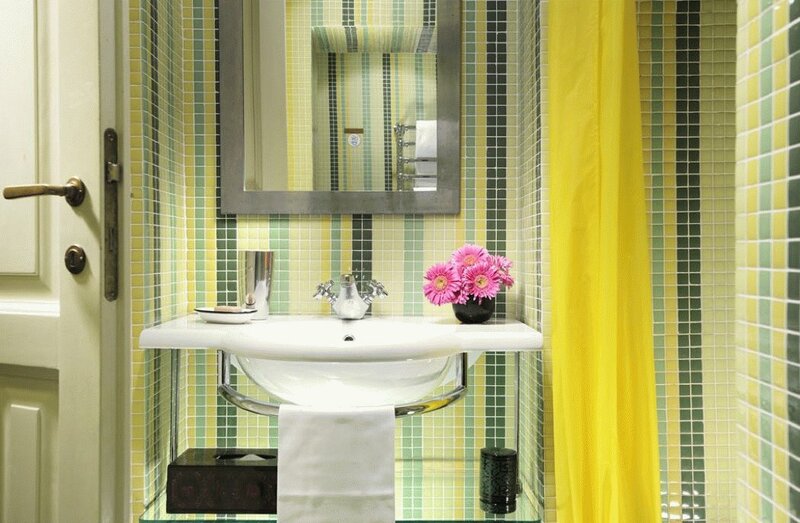 All the luxury, comfort and amenities of a 5 star hotel but without the formality. The owners very much look after their visitors and returning guests are given the name “Member Guests” and offered a priority booking channel. 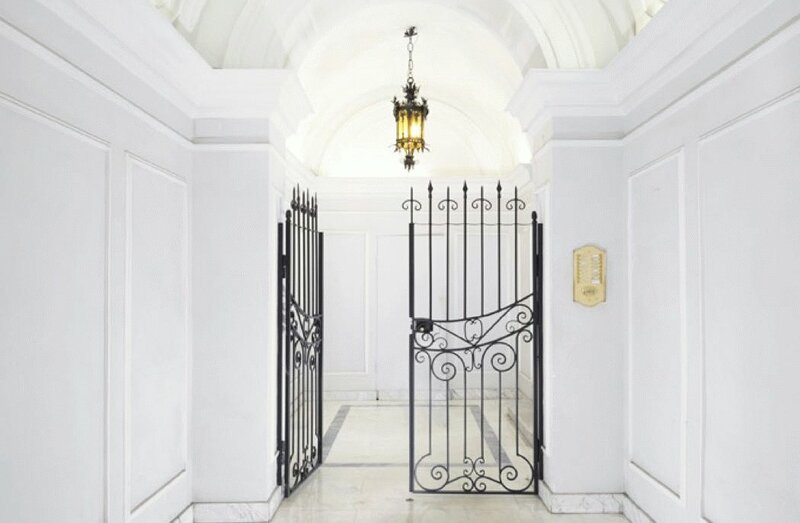 All the houses are achingly stylish and chic, with lots of quirky finishing touches. A delicious breakfast in bed is offered at all 3 properties and restaurant recommendations are given and very useful as you are spoilt for choice with the central city locations. 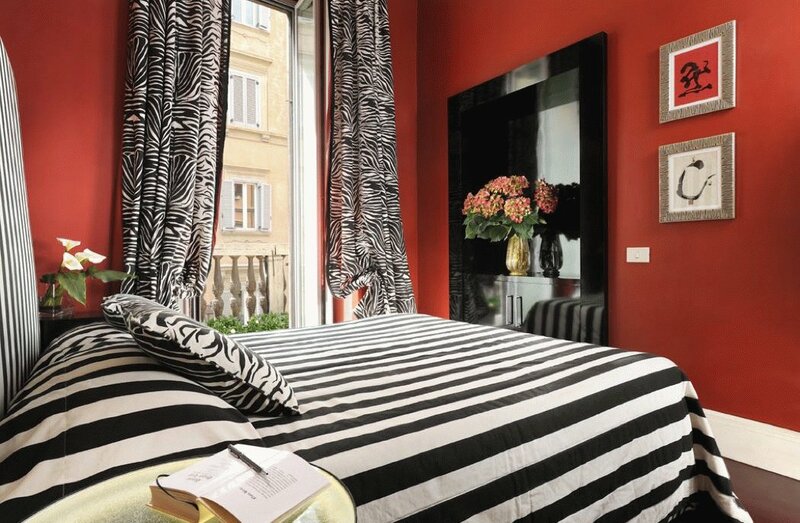 Fantastically situated in an historic Roman building right near the Spanish Steps in Rome, this is an intimate guest house with 5 uniquely designed and really rather grand double bedrooms. This is a beautiful, cosy, peaceful haven with high wooden-beamed ceilings, parquet floors and beautiful fabrics. 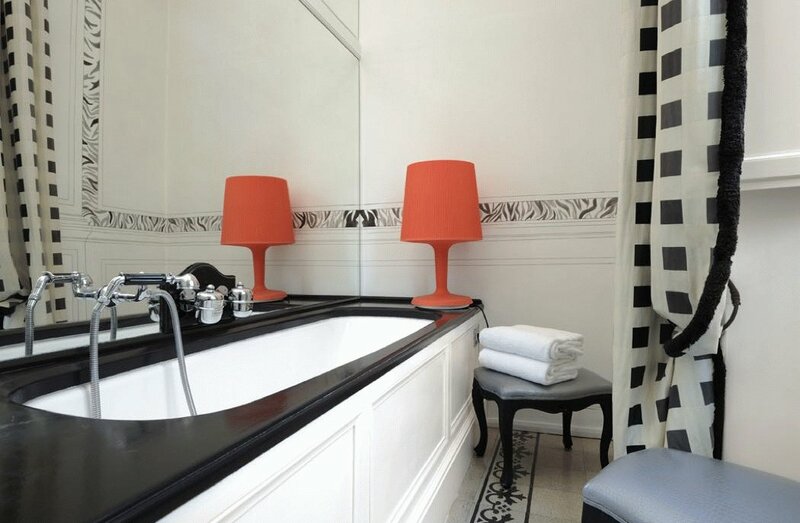 All rooms include a TV with satellite channels, air conditioning, tea & coffee making facilities, kimono and slippers, in the summer Mint Soaps and in the winter Pomegranate Soaps, complimentary Wi-Fi and are either en-suite or include a private bathroom. There’s even a private Turkish Hammam (Steam Bath) to ease your aches after busy days exploring Rome, just be sure to book as it’s popular! 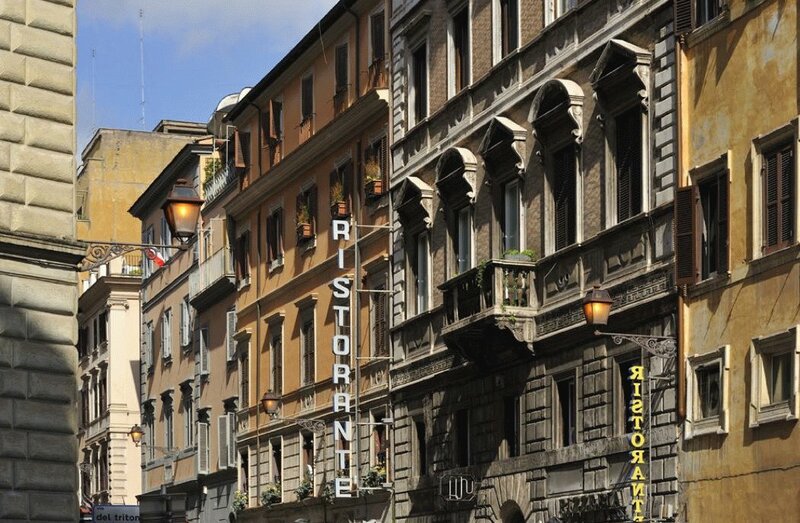 The guest house is situated on via Sistina near to the Spanish Steps in Rome and can be found on the second floor of an ancient palazzo. 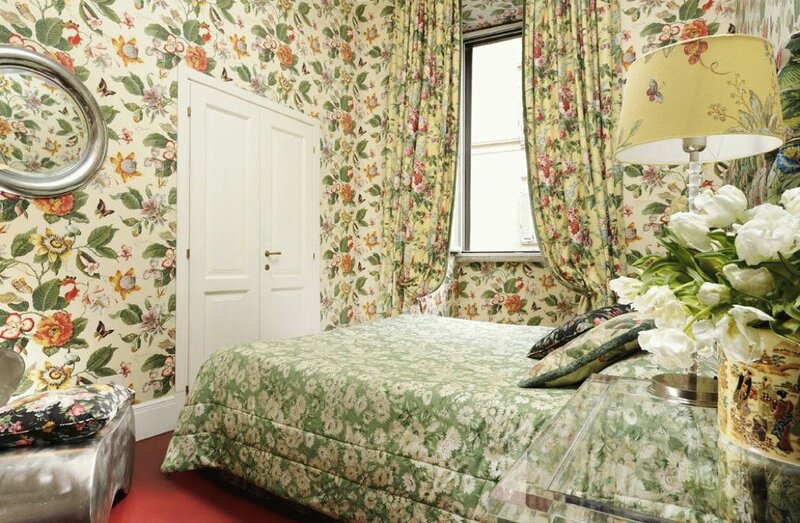 Its luxurious rooms were imaginatively designed by the famous interior designer Tommaso Ziffer and the result is fabulous; think bold colours, oversized-stripes and lots of pattern. The rooms facilities match those at Capo Le Case and there is also a bar and newspaper table area and a library corner as well as a Turkish Hamman big enough for 3 guests. 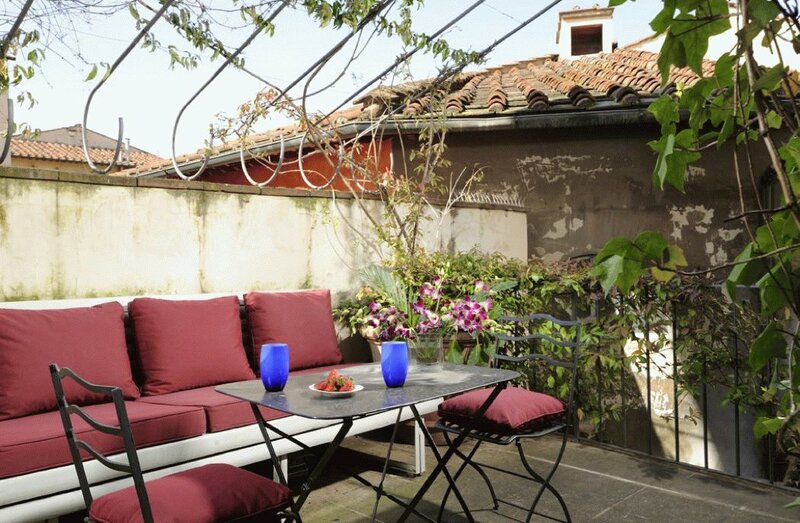 Located on Via della Scala 18, just steps away from the beautiful Santa Maria Novella basilica (and just 1.5hrs from Rome by train), the house features 12 highly individual bedrooms several of which have private terraces. There is a real variety in the décor and though all very glamourous and creative, it’s almost impossible to choose a favourite – every angle seems to hold a perfect Instagram shot! 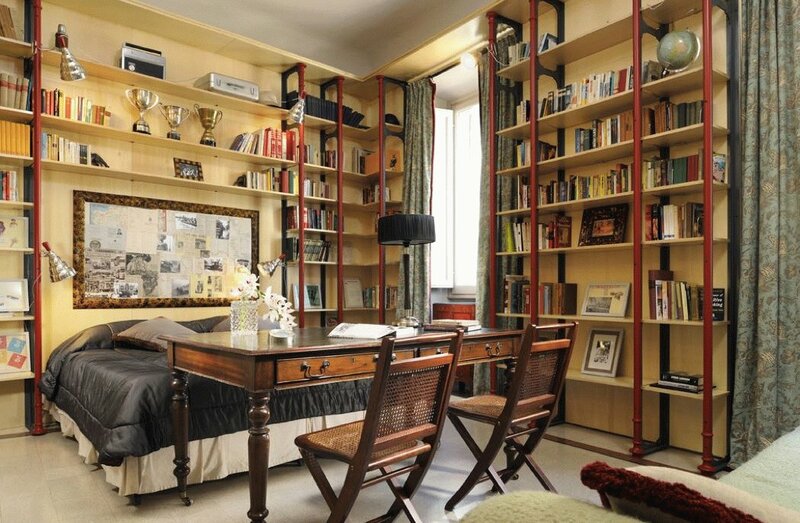 Some rooms can be taken as apartments, some are ideal for families and there’s even a bedroom in a library! 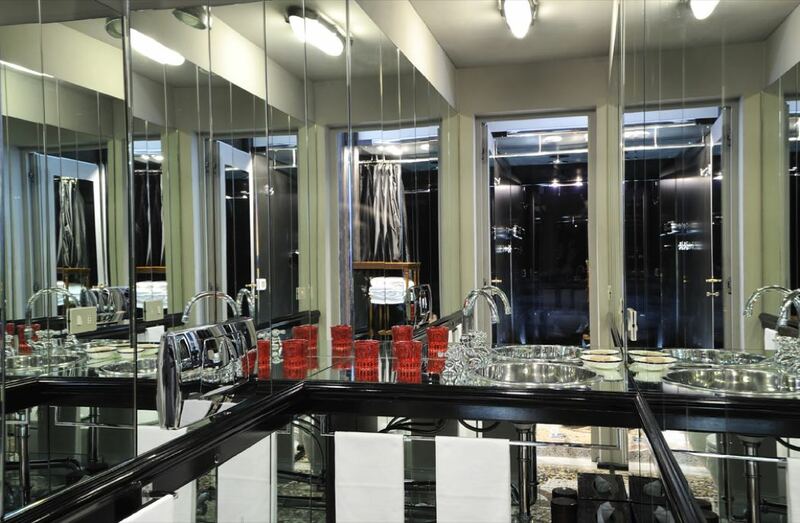 Communal areas include a Turkish Hammam Bath, a lounge and a Music/TV room. It’s the extra touches that really elevate the Casa Howard; you are met and dropped off at the airport by a “Greeter” carrying a flower, fresh flowers are placed in the rooms, you are given a key and complimentary olive oil made on their Tuscan estate is given to guests; with all this, you can’t fail to feel welcome! Concierge services are also available for booking tours, tickets, courses and treats, such as in-room massages. 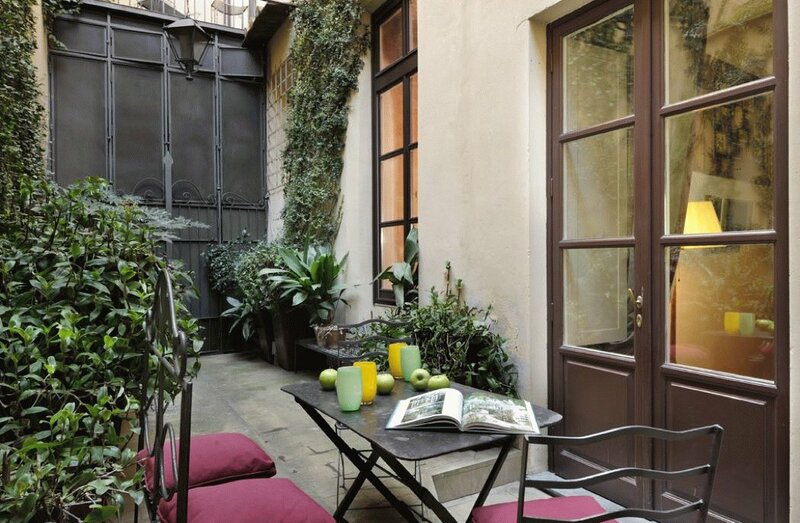 These charming houses feel very exclusive and are the perfect choice for comfort, luxury and the personal touch on a city break. 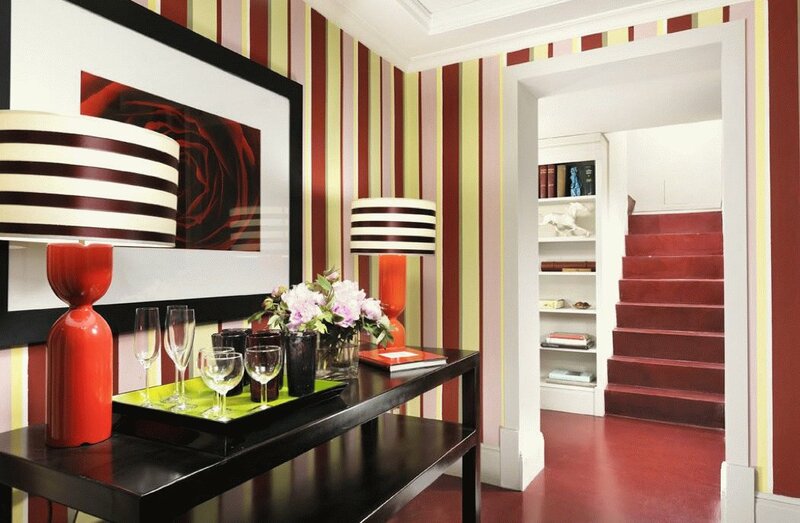 They achieve, and very definitely exceed, their aim to provide high quality houses to host special people.